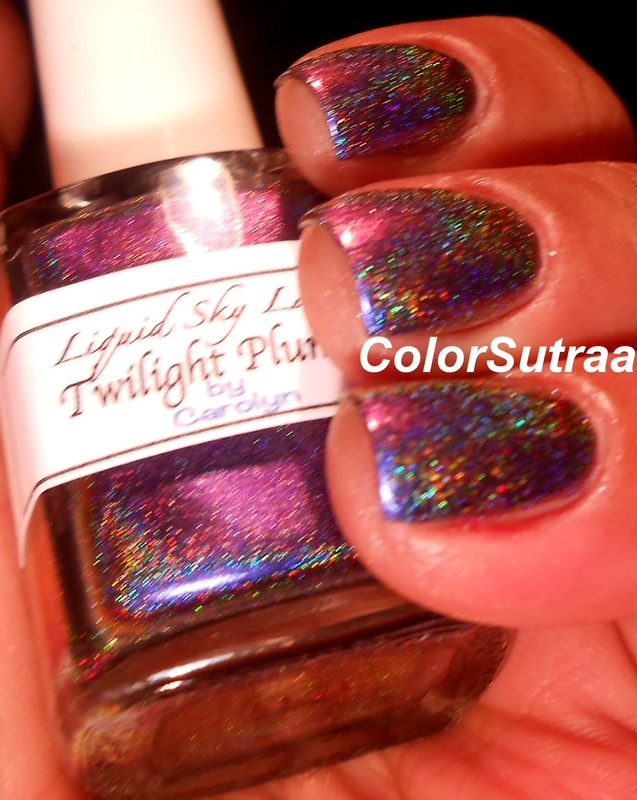 First up, I have for you Twilight Plumage--a stunning multichrome extreme holographic polish that shifts from blue to purple to red! The swatches below show just 2 smooth coats by itself! Isn't this just AMAZING?! I couldn't stop taking pictures!!!!! 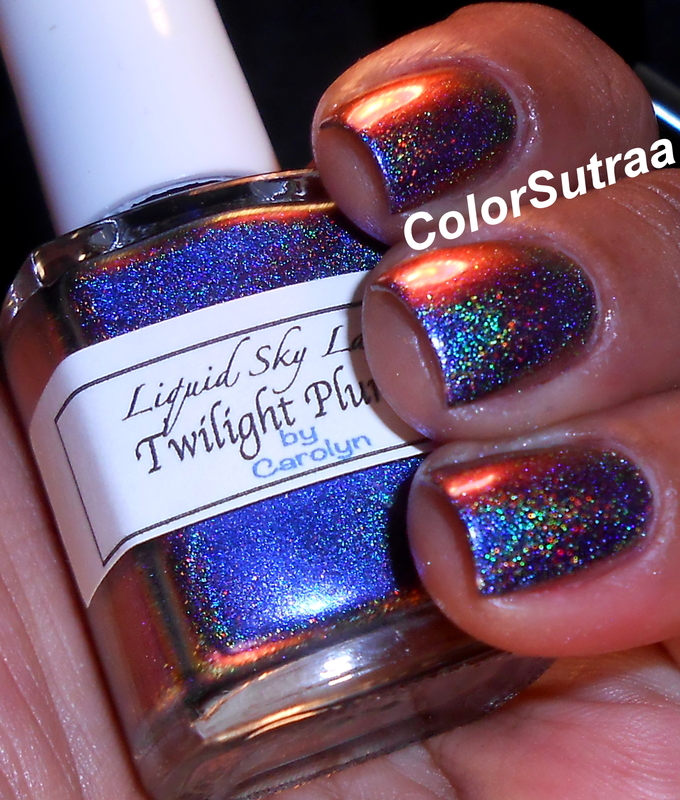 Next up, I have for you Twilight Hummingbird--a beautiful multichrome extreme holographic polish that shifts from green to gold to a silvery lavender-blue! The swatches below show just 2 easy coats by itself! 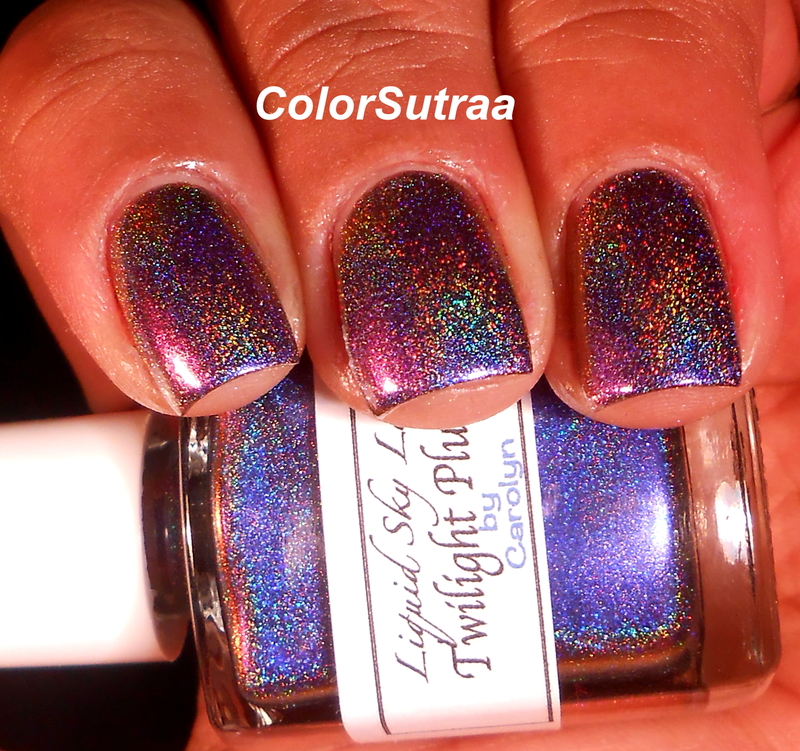 Just look how different this polish looks with flash! Like a completely new polish! 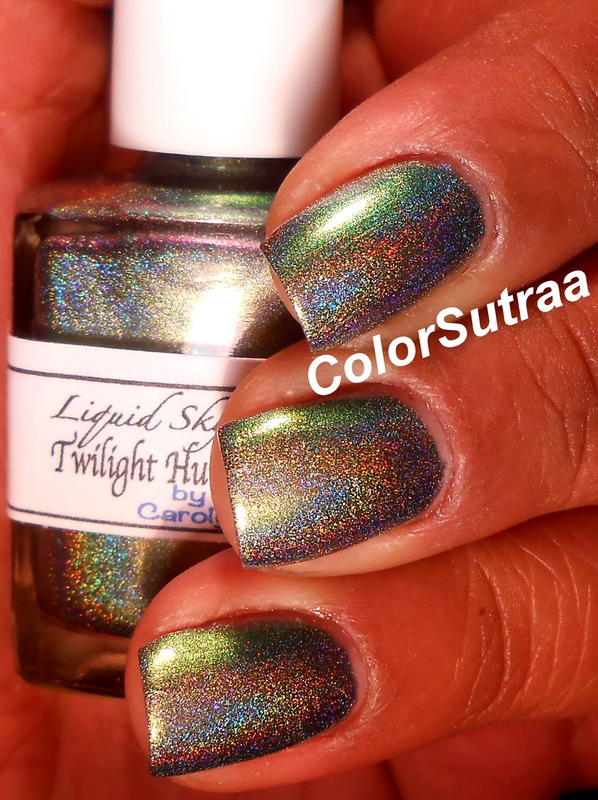 Last but not least, I have for you Twilight Peacock--a fabulous multichrome extreme holographic polish that shifts from purple to cyan blue to green! The swatches below show just 2 smooth coats by itself! Oh GOD! How I love these polishes! 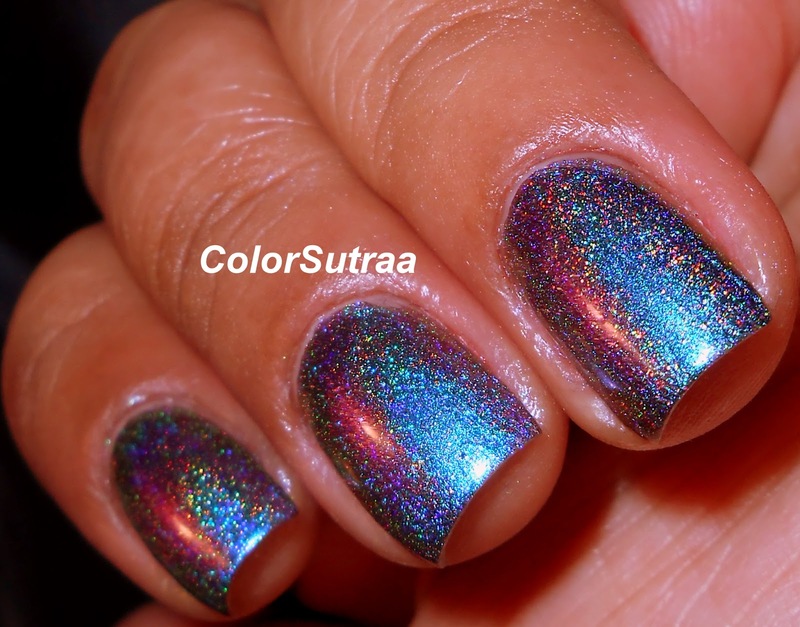 AND the holo is unbelievable!! So there you have it, my darlings! 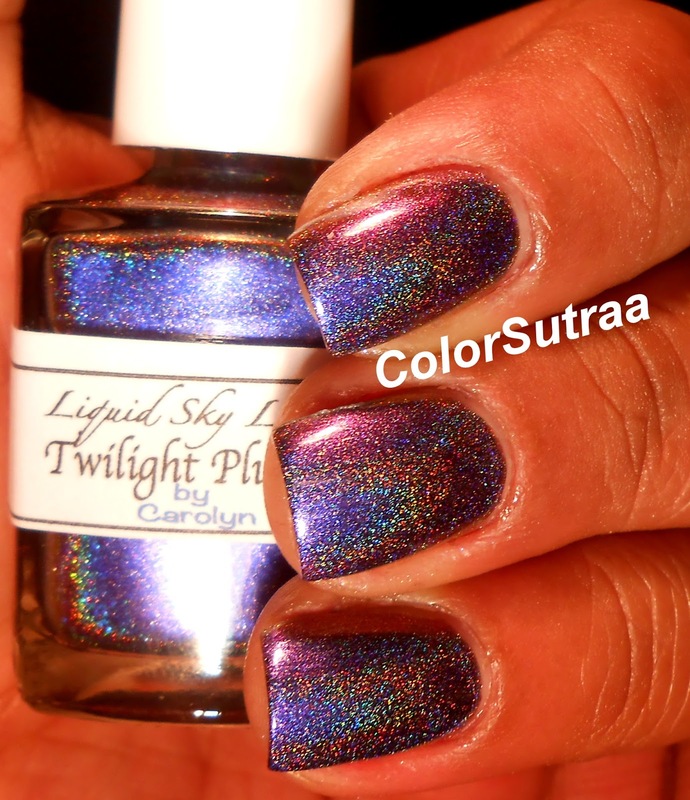 Three gorgeous multichrome extreme holos from Liquid Sky Lacquer! 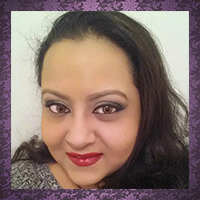 As I mentioned in my previous post, her shop is currently closed as she processes orders but will re-open on Saturday, November 30th--follow her on Facebook HERE to keep updated with the latest on the exact time. On Saturday, you can find these beauties HERE for a price of $12.50 for a full-sized, 0.5 oz bottle!